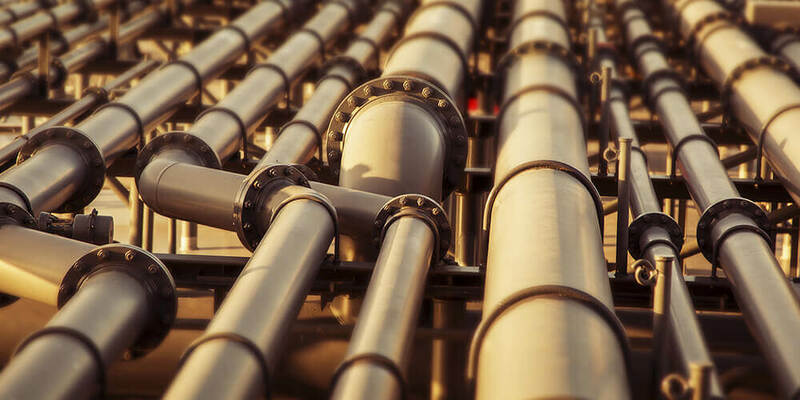 Problems with a valve on a long pipeline can result in large surges and reverse flows. These can result in sudden, unexpected pressure changes which in extreme cases can even fracture pipelines. Pipeline Surge Relief Control can help overcome this. If a valve or pump suddenly fails or trips out, the flow at that point comes to a stop. Meanwhile, either side of the fault, fluid will at first flow as normal due to its mass momentum. Upstream, the fluid will start to compress, causing a pressure surge. However, downstream the fluid will eventually see a rarefaction in pressure, encouraging a reverse flow. On a pipeline with a normal operating pressure of 17.5 bar a surge can generate a transient pressure of 96 bar if uncontrolled, emphasising the importance of anti-surge conditions. An example of how we overcame problems with pipeline surges. Provide stable control while subjected to extremely high velocities. Fit into the existing space on the pumping station. We specified seven stages of pressure drop to ensure that the pressure of the medium did not fall below the vapour pressure. This prevented cavitation, achieving the required low noise level and eliminating the vibration that had previously been experienced. Great care was also taken to control the flow velocity through the control valve. Although it was specified as a 16″ angle design, the trim components and size were the same as used on a 24″ valve. 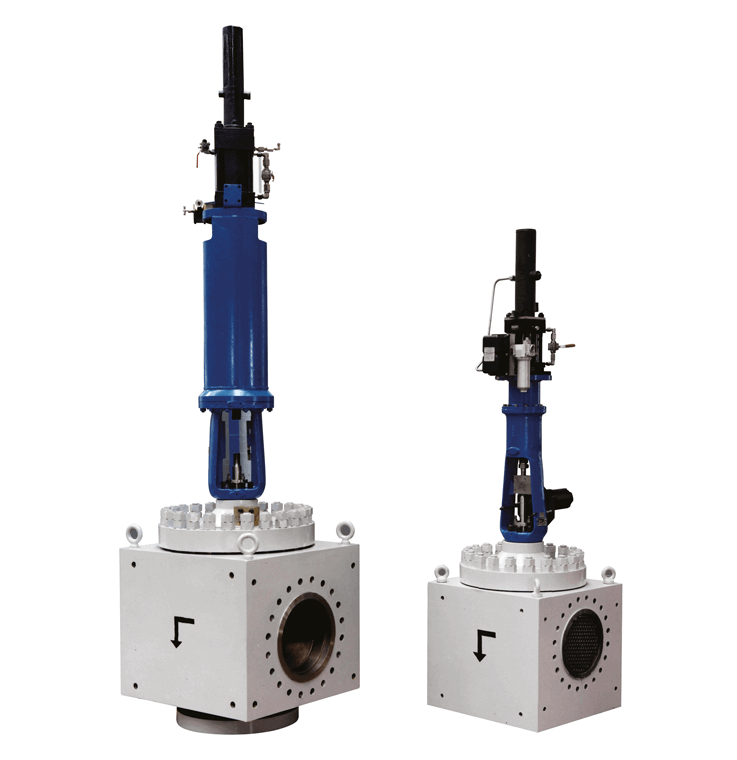 Prior to shipment to Alaska, the control valve was fully tested for confirmation of both the CV and flow characteristic. After successful extensive customer trials we received an initial order for 36 of these anti-surge pipeline control valves, each one specifically designed around the flow conditions of each individual pump. We subsequently received and delivered an order for ten more units. The valves continue to function satisfactorily with minimal service requirement.